Note: On the Bench Press and Pull-up, we will be utilizing “Tempo Training” methodology. On the Bench, from the start position off the rack, descend to the bottom position on a 3 second count. Hold the bottom position for 1 second (keeping tension – the barbell does NOT “rest” on the chest), and then as rapidly as possible, explode to the top position. At the top position, take one full breath, and repeat for the required number of repetitions. On the Pull-up, descend over a 3 second count, hold the bottom position for 1 second, explosively return to the top position (No Kipping!) and hold the top position, with chin over the bar for 2 seconds. For the “Sprint Round” blast through this triplet, with maximum speed and intensity. Stacey is Athlete Of The Week! Congratulations to Stacey who was recognized as Athlete Of The Week at CrossFit Amundson. 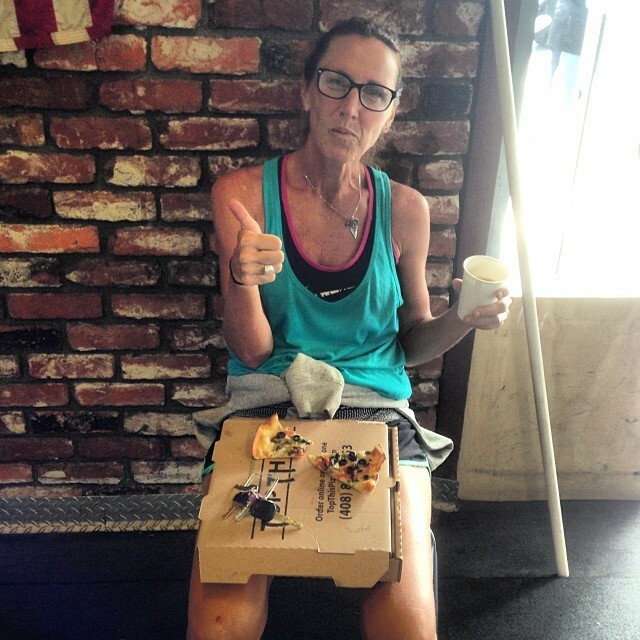 Stacey came to CrossFit with a background in highly competitive beach volleyball, and was an avid distance runner. Stacey brings to her workouts immense mental discipline and focus, especially on workouts that are longer in duration. Case in point: The As Many Miles As Possible (AMMAP) challenge last week. Stacey ran over 40 miles during the event, and looked as strong on her last mile as her first. Stacey is also extremely encouraging of the Athletes she trains with, and is always a joy to have in the gym. Congratulations Stacey on all your success, both inside and outside the gym! Our CAMP workout will be the HQ programming today. Our Light class will be HQ programming at HQ today with modifications as needed.